HYDRO saved Tasmania from shocking electricity price hikes in 2012-13, a report by the Australian Energy Regulator says. The State of the Energy Market report found average Tasmanian electricity bills rose by 3 per cent because of the carbon tax, compared with a 12 per cent hit in the ACT. AER chairman Andrew Reeves said Tasmania's high concentration of hydro power kept bills down. "The average carbon pass-through-to-spot electricity prices during 2012-13 was broadly consistent in mainland regions at $17.70 per MWh but significantly lower in Tasmania at $10 per MWh," he said. The carbon tax of $23 a tonne, introduced in July 2012, helped Hydro Tasmania to an operating profit of $238 million as it received higher prices without having to pay the tax. In his annual report Tasmanian Auditor-General Mike Blake found the gas-powered Tamar Valley power station cost almost $17 million in carbon tax. AER's report said the tax added 12 per cent to the average ACT power bill, followed by Queensland (9 per cent), Victoria (8 per cent), NSW (7 per cent) and South Australia (4 per cent). The Coalition Government has said the repeal of the carbon tax would result in an average fall in bills of 9 per cent. But the AER report suggests the repeal would result in only a 3 per cent fall in Tasmania. The Office of the Tasmanian Economic Regulator is believed to have decided yesterday on a new price determination from January 1. Royal Hobart Hospital Waiting Lists Figures Fudged? ELECTIVE surgery waiting lists at the Royal Hobart Hospital have been dramatically reduced since the start of the year, new figures reveal. The latest Health and Human Services Department statistics show the number of patients waiting for elective surgery at the state's major hospital had fallen by 20.7 per cent since January — from 3064 to 2431. But the average waiting time for surgery at the RHH rose slightly from 45 days to 47 days. RHH surgical services group manager Adrianne Belchamber yesterday praised the efforts of hospital staff and said the focus on reducing surgery waiting lists would continue across all procedures in the new year. "Staff at the RHH have worked hard to achieve this significant reduction in the elective surgery waiting list," Ms Belchamber said. "These gains have been supported by implementing efficient systems as well as having state and national targets in place, which give staff a clear goal to work towards achieving. "Next year we will continue our focus of reducing the number of patients waiting the longest for elective surgery, as well as the most urgent cases." 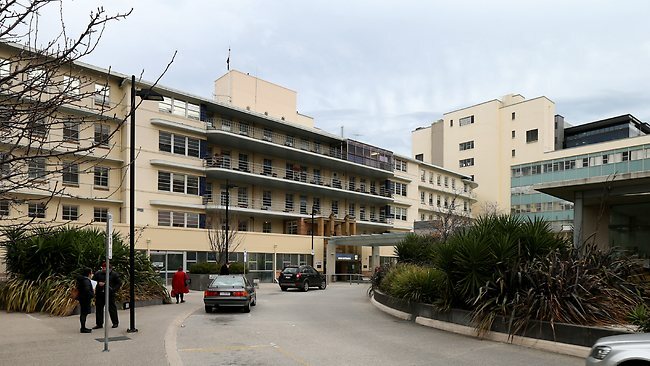 Health Minister Michelle O'Byrne said the Royal Hobart Hospital waiting-list improvement was a result of hard work throughout the state organisation. "The Tasmanian Health Organisation has been systematically reviewing its list, along with targeting long-wait patients, resulting in a more effective management of elective surgery patients," Ms O'Byrne said. "Importantly, admissions from the wait list — that is the number of patients being treated and therefore removed from the list — increased at all four of the state's public hospitals. "This is an important indicator because it shows that our hospitals are working harder and more efficiently to get more people their surgery." Ms O'Byrne said progress was being made in Tasmanian hospitals despite a growth in demand. But Opposition health spokesman Jeremy Rockliff said the extent of patients waiting for surgery would not be known until the lists of people waiting to be assessed by a surgeon were also regularly disclosed. "We shouldn't forget that thousands more patients are being kept on hidden waiting lists," Mr Rockliff said. He said that across the state, elective surgery waiting lists had grown since before the last state election. HOPES Tasmania would have the nation's best broadband network appear dashed. Federal Communications Minister Malcolm Turnbull has retreated from promises to deliver the NBN directly to the majority of Tasmanian homes and businesses. Mr Turnbull promised in the federal election campaign to honour contracts for Labor's fibre to the premises model. However, on local radio yesterday he moved away from the commitment, blaming rollout contractor Visionstream. "We've always said we will honour the contracts," Mr Turnbull said. "The problem is Visionstream is not prepared to work for the prices and the rates that they have agreed to. That's why work has stopped." Mr Turnbull also said Tasmania was not entitled to preferential treatment just because it was the first state to start the NBN rollout. "My commitment is to ensure that all Australians have access to very fast broadband sooner, cheaper and more affordably," he said. The comments were slammed by the State Government and the information communications technology sector. Premier Lara Giddings said it was appalling that the Liberals had played such cruel politics over the NBN. "Before the election they were putting their hand on their hearts and declaring they would honour the Tasmanian contracts," she said. "Ever since the election, they have done everything they can to try and wriggle away from it. To now try and use an argument that the project is too expensive is complete rubbish." TAS ICT executive officer Dean Winter yesterday called on Mr Turnbull to honour his election commitment "He must stop his inaccurate claim that Visionstream is not doing any work in Tasmania," Mr Winter said. "It is simply untrue and he is either poorly advised or being deliberately misleading. 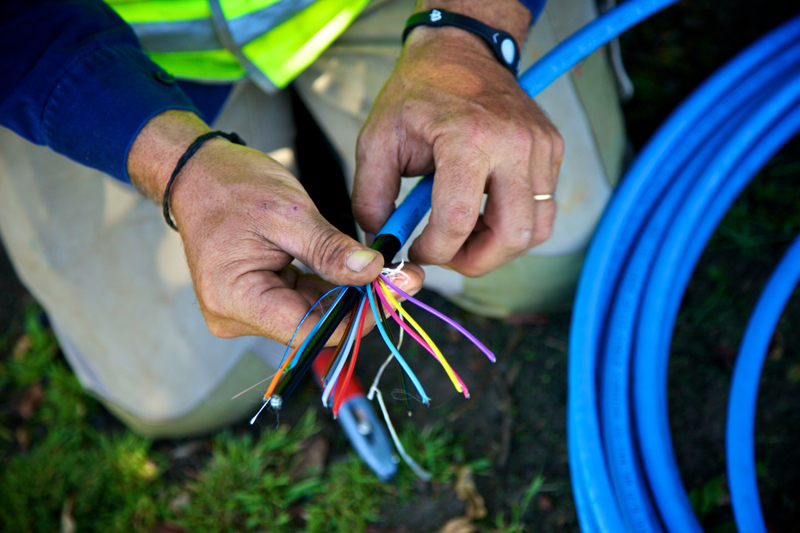 "Visionstream has ramped up its activity and has been laying fibre in Clarence, West Hobart and East Launceston over the past few weeks." Mr Winter said issues with the NBN rollout were known before the September election. "But there was never any indication from the Coalition those issues would affect the promise to honour existing contracts." Opposition leader Will Hodgman said the state Liberals wanted fibre to the premises and would discuss the issue with Mr Turnbull.